professional Raleigh Plumbers - Poole's Plumbing, Inc. Being able to make repairs around the home is a valuable skill to have, saving both money and time, and also giving a sense of satisfaction. Many domestic plumbing tasks can be carried out by anyone who’s reasonably good with their hands — leaking faucets, malfunctioning toilets, blocked pipes — you feasibly can fix all of these yourself, especially in this age of instant information and tutorials over the internet. However, there are some types of repair that should definitely be left to the plumbing experts, and here are five examples. 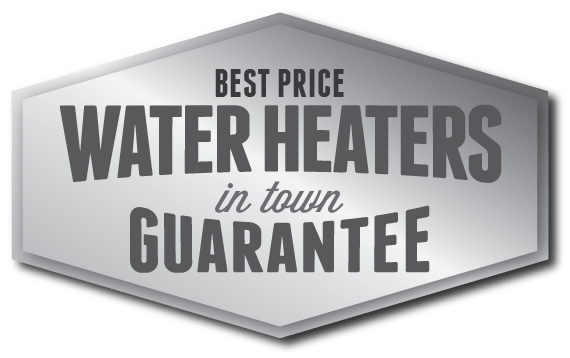 Aside from routine cleaning, anything involving a water heater is probably a job for professionals. When working with a heater, you’ll be dealing with water, electricity, and probably gas or oil. If you make one mistake, the consequences can be severe. Also, an amateur is unlikely to have all the right tools to ensure safety, such as those needed to detect gas leaks or carbon monoxide emissions, and your home insurance may not cover any damage caused by faulty DIY repairs. Not only is this an unpleasant job that you might prefer to give to someone else, but you could easily make things worse by tackling it yourself. What may seem like a simple leak could in fact be caused by a blockage or other problem deeper within the system. Without the right tools, such as cameras and other inspection devices, you might only apply a band aid with your fix. If you don’t address the main problem, you risk a more severe issue at a later stage, possibly involving the expense and disruption of digging up your whole yard. Tightening a loose joint is one thing, but tackling anything more complicated is risky. A pipe system is only as strong as the weakest part. Without the right tools to ensure a proper job is done, you risk failure when the system is brought up to pressure. With water pipes, this can be a damaging leak that’s quickly noticed and fixed. With gas pipes, you might not even realize there’s a problem until disaster strikes. If you’re faced with a pipe spraying water across the room, it’s time to turn off the main supply and call in a professional. It might seem a simple matter to fix the obvious fault with a replacement joint or a spot of soldering, but this might only be the tip of the iceberg. If a major leak has occurred, it’s likely that other parts of the system are also in a similar state of wear and tear, and could be close to failure, possibly in a much more damaging and hard-to-fix location. A plumber will not only deal with the immediate problem, but also will check on the health of the rest of your pipework to prevent future failures. In most jurisdictions, amateur plumbing repairs are illegal in buildings where other families also live, and so a certified professional needs to be used. Whether this restriction would ever be enforced over a simple leaking tap is of course your judgement to make, but certainly for any more major work, then it’s a point to be aware of if you want to avoid legal problems down the line. Many plumbing repairs are fairly simple, and easier and quicker to carry out yourself rather than call in someone else. However, if you’re at all unsure, and when the consequences of a mistake can be serious, it pays to consult a professional. 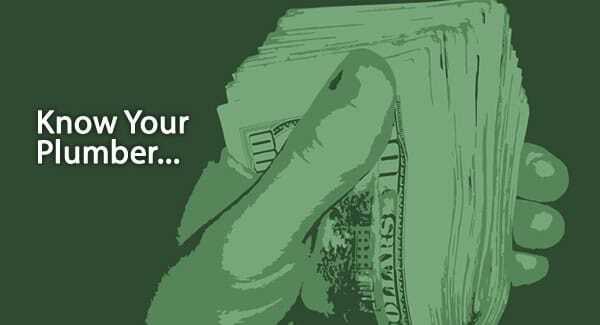 With most good plumbers now offering free call-outs and estimates, you’ve nothing to lose by getting an expert opinion. When most people think of their toilet, the words “germ free” and “clean” may not be exactly the first terms that come to mind. However, with the latest toilet innovations in American Standard‘s products available through the trusted professional Raleigh Plumbers, Poole’s Plumbing, that is exactly what you can get. Possibly the most innovative of the features that the professional Raleigh Plumbers at Poole’s Plumbing can bring to your bathroom in a new American Standard toilet are the models featuring their “ActiVate Touchless Flush Technology.” Advertised as a “germ free, no- touch flush,” the toilets featuring this technology have a system powered by 4 AA batteries that are warrantied for up to two years based on an average of 12 flushes or less per day. With a sensor located on the upper right side of the toilet, there is literally no contact needed to be made in order to flush your unit. For convenience and as a backup, there is also a button that would allow you to manually flush the toilet as well. Another great feature to the “ActiVate” models is a power-off mode, that allows you to turn the sensor completely off for easy cleaning without having to worry about unwanted flushes . 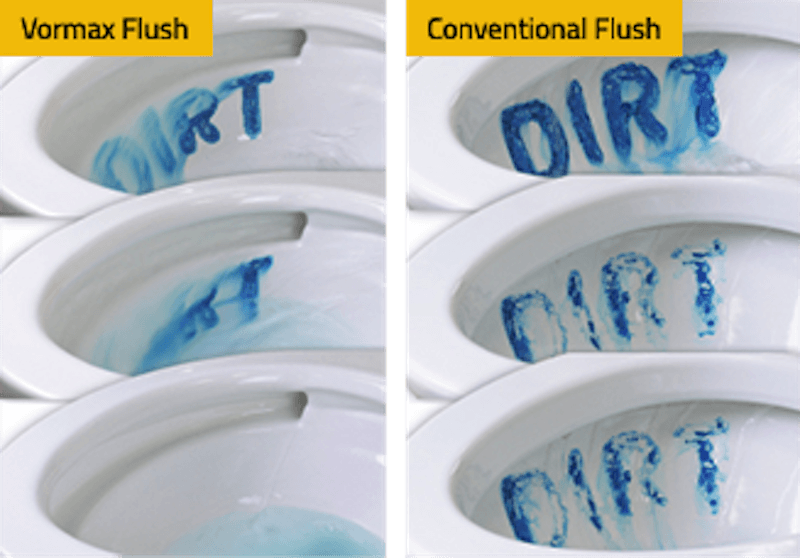 American Standard has also raised the bar in keeping your toilet bowl clean with the introduction of its “VorMax” Flush technology. 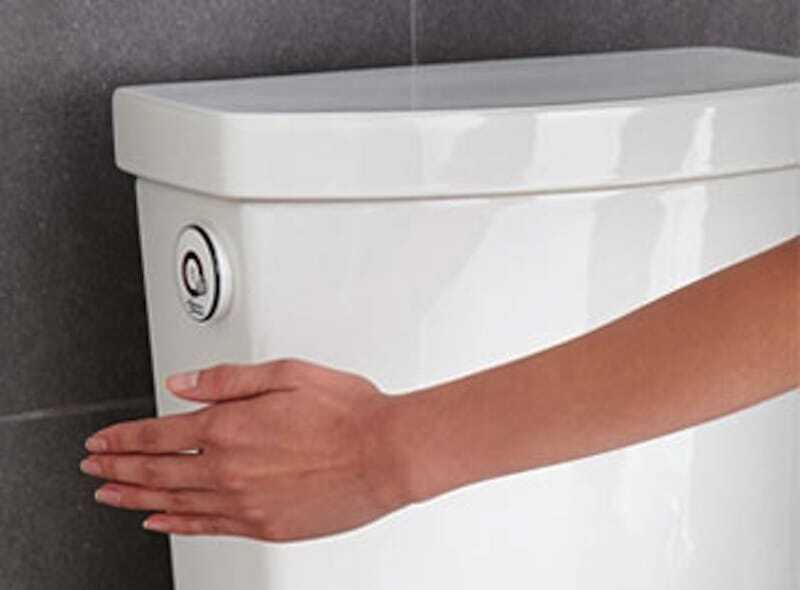 Basically, the “VorMax” technology has reinvented the way that your toilet is cleaned, by taking away the rim holes around the inside of the bowl that conventionally have produced the water during a flush. In its place is just one high powered stream of water that self scrubs your entire bowl from top to bottom, without you even having to raise a finger or a brush. The “VorMax” jet stream even cleans the difficult to reach spots in your bowl that has given people fits in cleaning for years upon years. 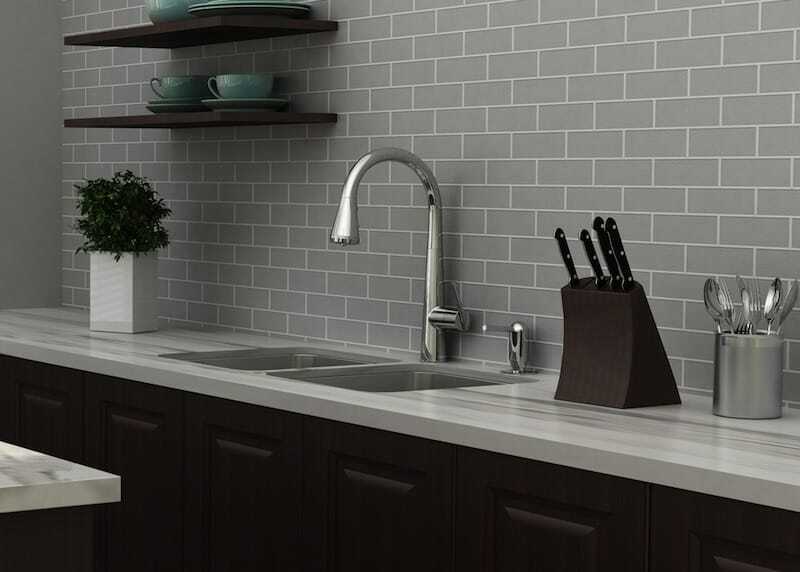 These are just a few of the cutting edge technological advances in the latest products from American Standard that can be installed to your bathroom by the professional Raleigh Plumbers at Poole’s Plumbing. To see more on the full line of their newest products, go to www.americanstandard-us.com.